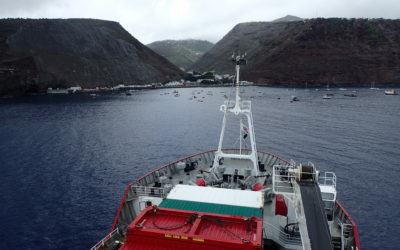 A team of scientists on board the RRS James Clark Ross (JCR) has conducted marine biodiversity research around the Island of St Helena with a team of UK based and St Helenian scientists on-board – following a successful research survey in Tristan da Cunha waters. 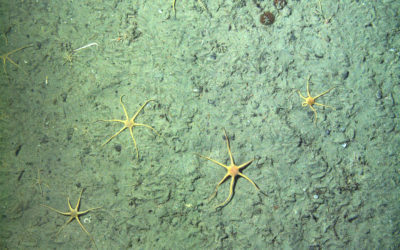 Working in shifts 24 hours a day, the team onboard the JCR spent the four days surveys and sampling around the South Atlantic island of St Helena before investigating the Sysoev (Bagration) and Bonaparte seamounts – underwater seafloor mountains. To create a high-resolution map of the seafloor during daylight hours, the ship used its multi-beam echosounder. The team also collected information on the temperature, and composition of the sea water was gathered using a CTD rosette deployed over the side of the ship into the sea to depths of 1000m. They also used a small trawl to sample the biodiversity on the seafloor. 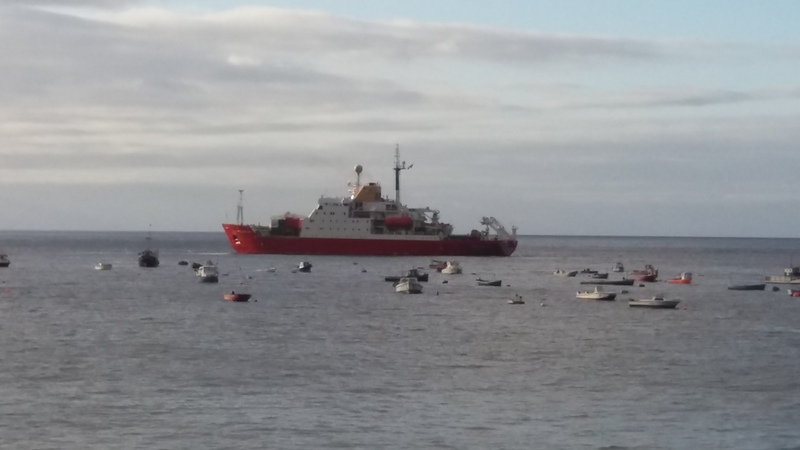 The RRS James Clark Ross at St Helena. Photo credit: Simon Morley. At night, scientists focussed on sampling the biodiversity within the water column using a range of nets cast up to 1000m depth – a region known as the “twilight zone”. Using the maps created from the multi-beam sonar surveys, researchers targeted a specific region near ‘Dawsons’ and the Bonaparte Seamount to sample marine life on the seafloor. 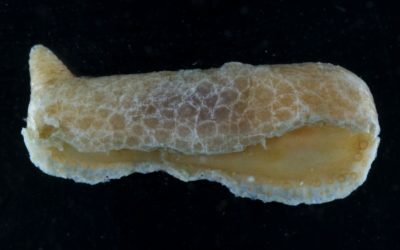 Benthic trawls discovered the biodiversity on the sea floor is rich and abundant, with creatures like crabs, snail, sea slugs and clams living among the coralline algae. 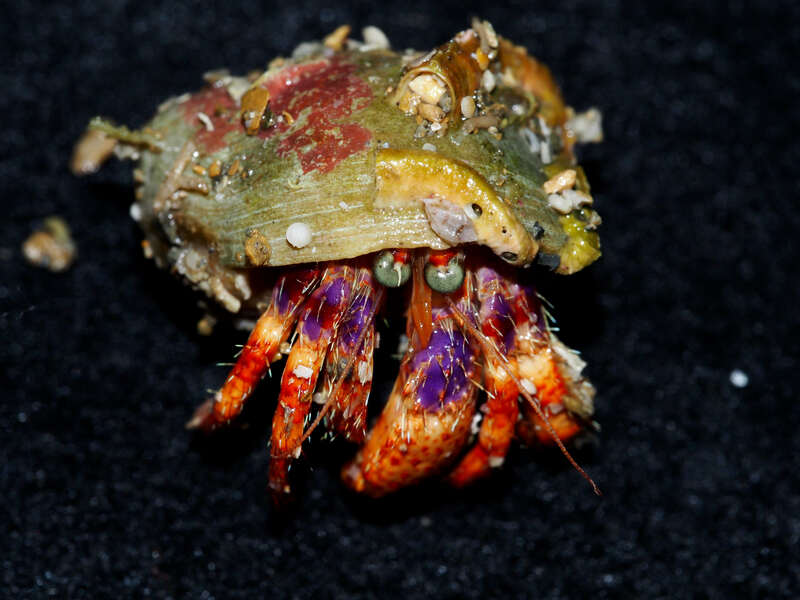 Hermit Crab found living in the water surrounding St Helena at 90m. Photo credit: Chester Sands. 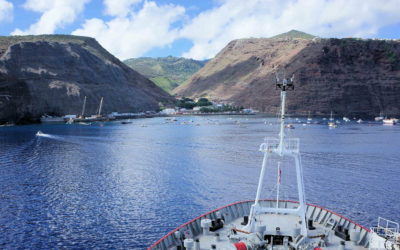 “During this part of the cruise, we successfully mapped the seafloor around St Helena and sampled over 200 species of fish and invertebrates, which we think will include some species new to science. The research is funded by the British Antarctic Survey’s Overseas Development Assistance Programme (UK-ODA) and the UK Government through the Blue Belt Programme (Centre for Environment Fisheries & Aquaculture Science). The spirit of collaboration was key to the success of the project with many UK and local partners joining the cruise to pull together a comprehensive marine science program, focussing on the biology of the coastal waters and sea mounts. 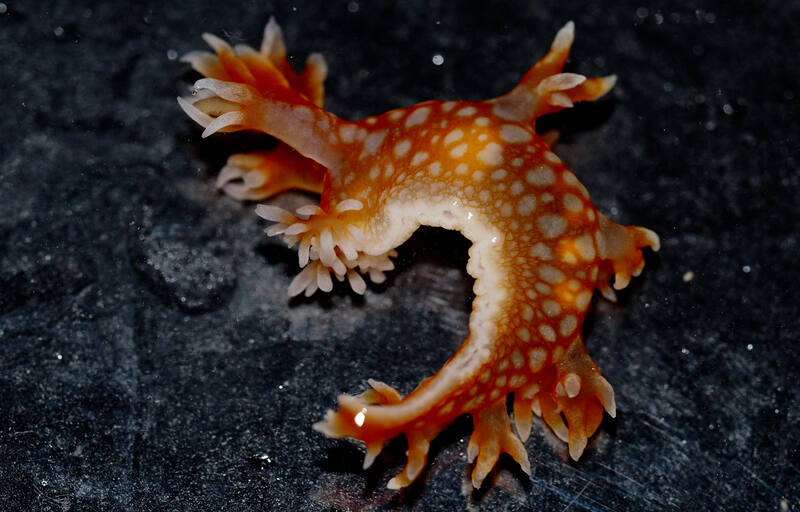 Seaslug found during sampling at the Bonapart Seamount. Photo credit: Chester Sands. The RSPB’s Andy Schofield, and marine mammal observer Stephanie Martin, spent every day on the bridge of JCR, counting and identifying the birds, whales and dolphins that use the seamounts. Paul Brewin and Katie Brigden from the South Atlantic Environmental Research Institute, brought their knowledge of the South Atlantic Islands. Nils Piechaud from Plymouth University, will add the sea floor biodiversity from the St. Helena seamounts to global models, building a picture of the significance of St. Helena’s seamounts across the world’s oceans. Alex Cotton, from University College London, joined BAS scientist Will Goodall-Copestake to look at salps – fascinating jellies that can form massive long chains. 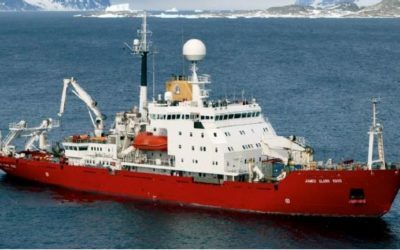 Dan Evans joined from the UK Hydrographic Office, so all the sea floor mapping data will go directly into updating navigational charts for the region. We were also looking for illegal fishing vessels to report back to the Marine Management Organisation (MMO).